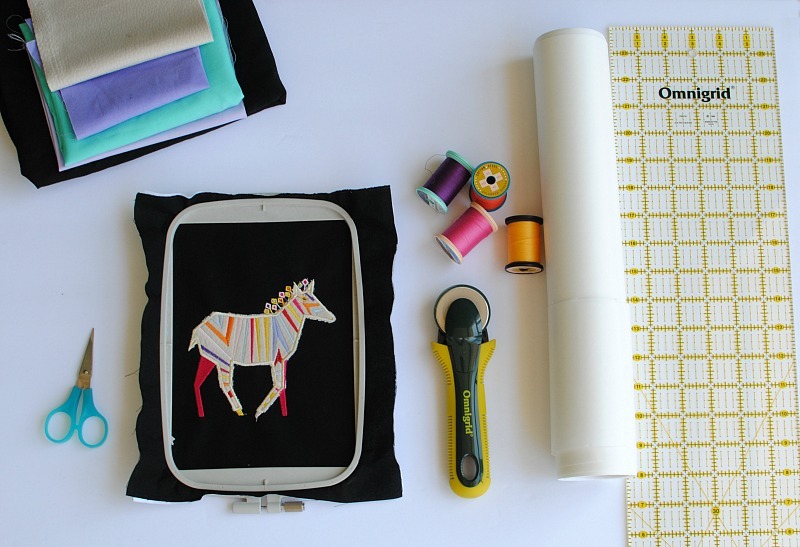 Kicking off March with a DIY Embroidered 9-Patch Quilt Block because guess what? It's national quilt month. 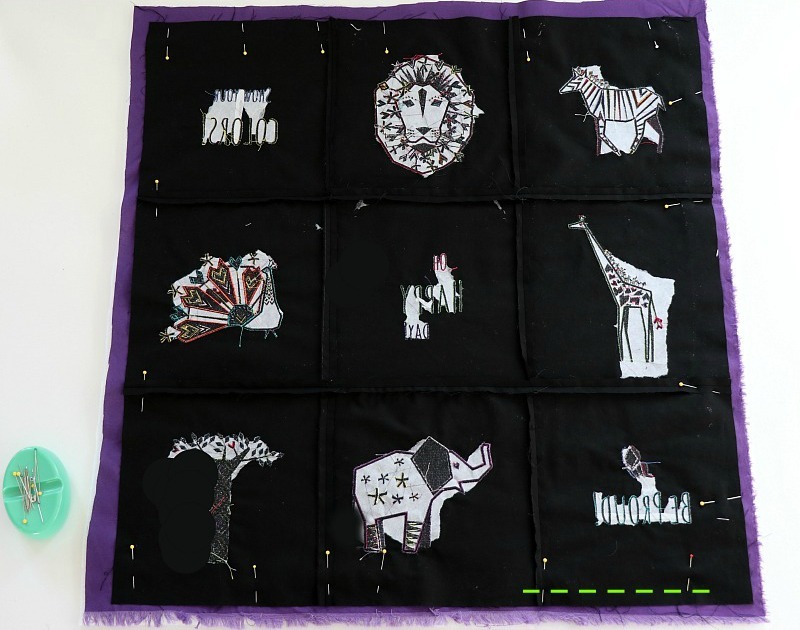 Some of my first projects when learning to sew were quilts. I even made one in high school as a Christmas gift for my mom she still has hanging in the house. I specialize mainly in fashion design but when I have a chance to make a quilt I get excited. Now quilting is an art I have yet to master but I'm inspired by the time, precision, and planning that goes into each one. There is such beauty in fabric cut precisely into shapes and sewn together to create a masterpiece. If you haven't been to a quilting convention I suggest you do because you will be so inspired. 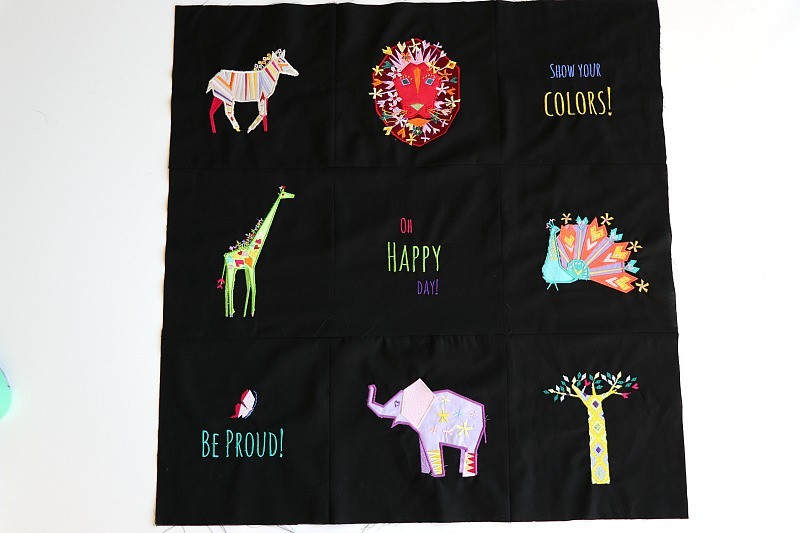 I was thrilled when Embroidery Online sent me this vibrant collection Origami Oasis. 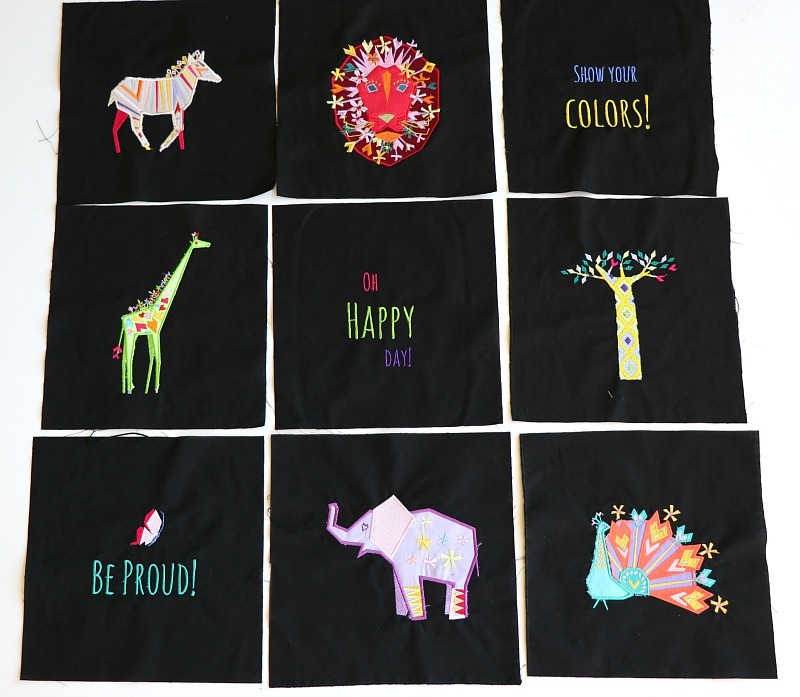 My first thought was a 9-Patch Quilt Block featuring these designs because I couldn't just pick one and they agreed. 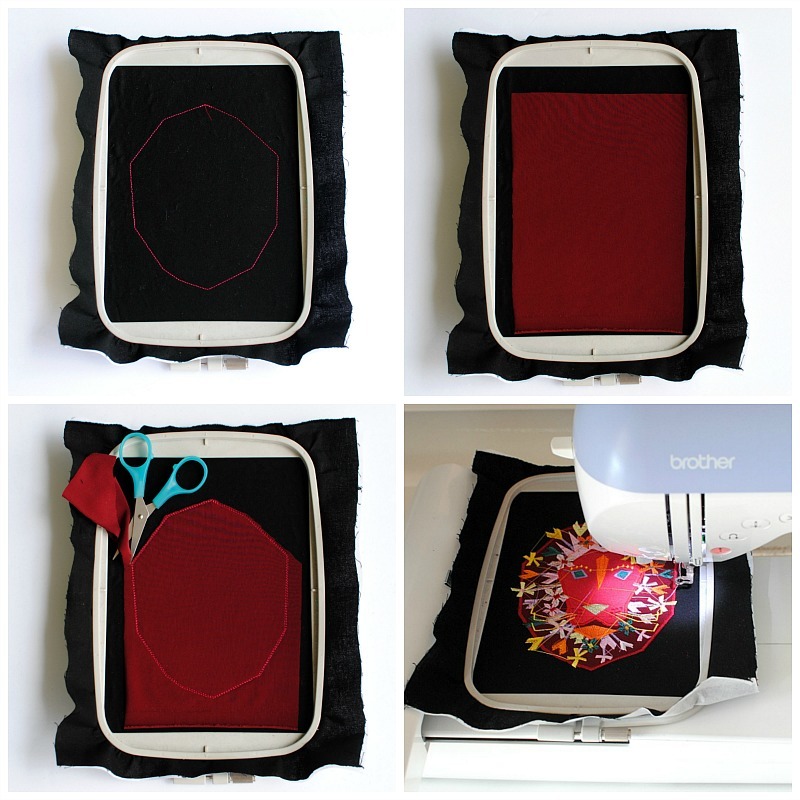 Aside from the embroidery this is the easiest quilt tutorial ever. Great for beginners and kids. I also just moved into a new home and we were beginning to decorate our youngest son's room. He loves animals and the colors and patterns were the perfect addition to his muted room tones. He was jumping for joy and saying "me, me" (mine) when I showed him. 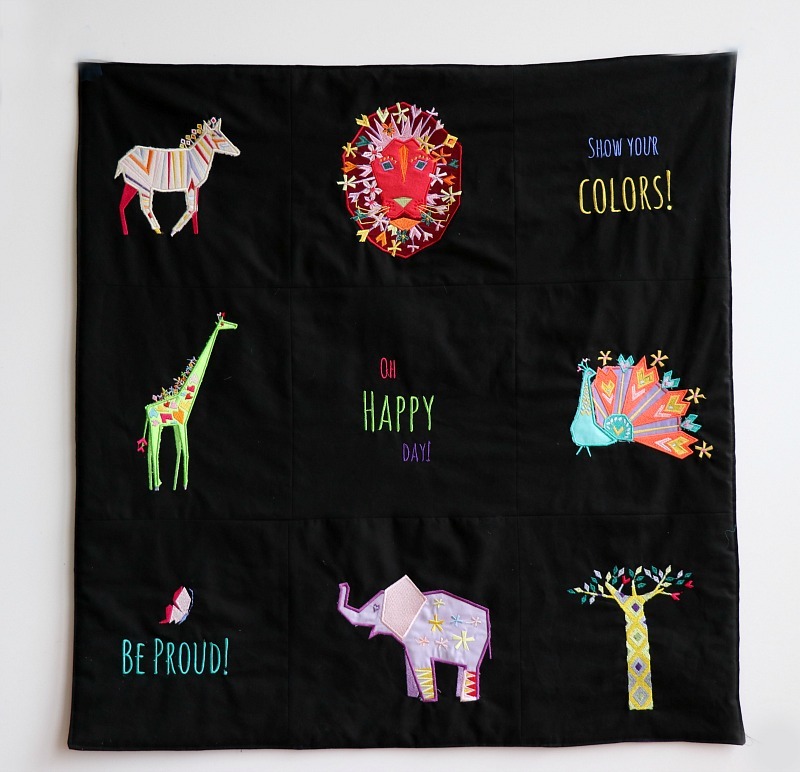 Get the details on how we made this Embroidered 9-Patch Quilt Block titled "Louie's Safari." 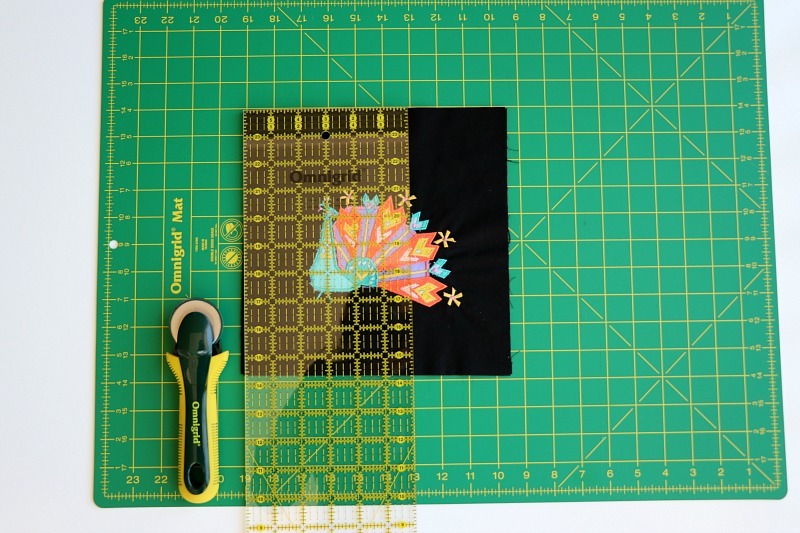 Cutting: The best way to cut blocks for quilting is with a rotary cutter, mat, and ruler. This keeps things accurate which is essential when making quilts. Cut out 9 even blocks. I am doing 10" x 10" squares. Because my hoop is slighty larger and I'm doing embroidery I initially made my blocks 12" x 12" and will adjust before sewing. Fabric: The best fabric to use for quilts is cotton. Be sure to prewash before sewing. 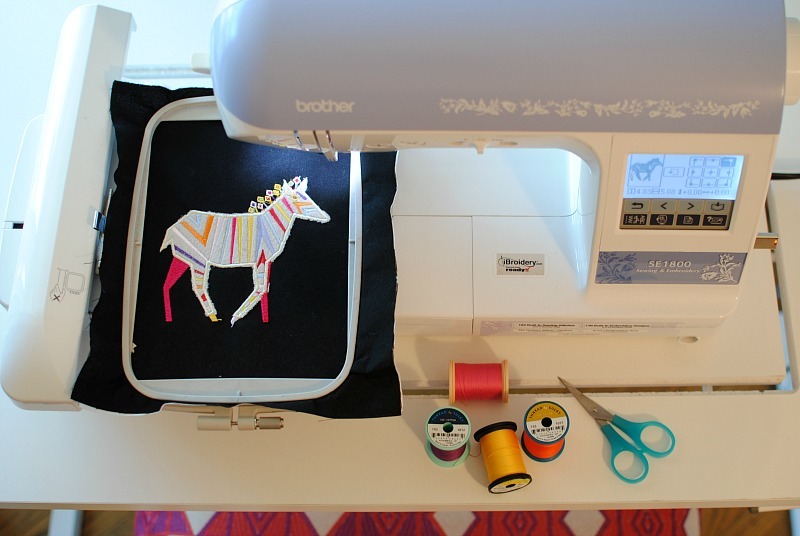 Embroidery: Always refer to the instructions included with the embroidery collection. It will tell you what colors and steps you are on. Stabilize and hoop your block. I am using a medium weight, tear away stabilizer. 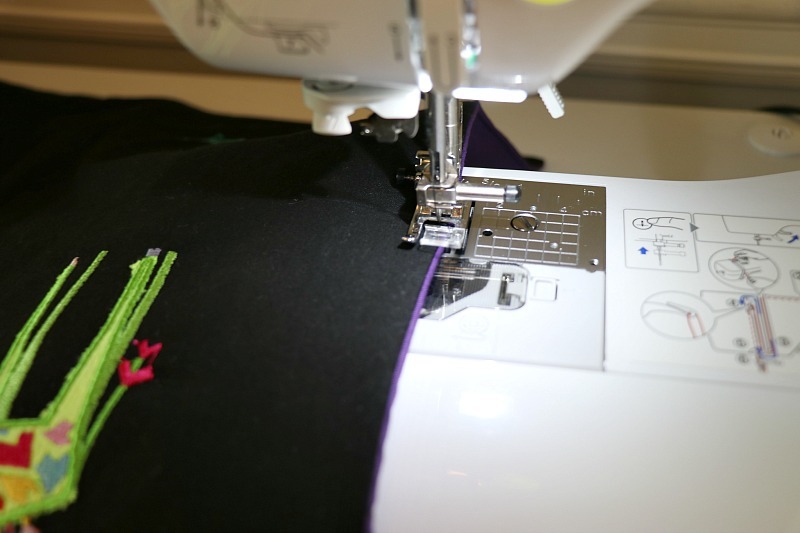 The first step for this specific design is the placement stitch. 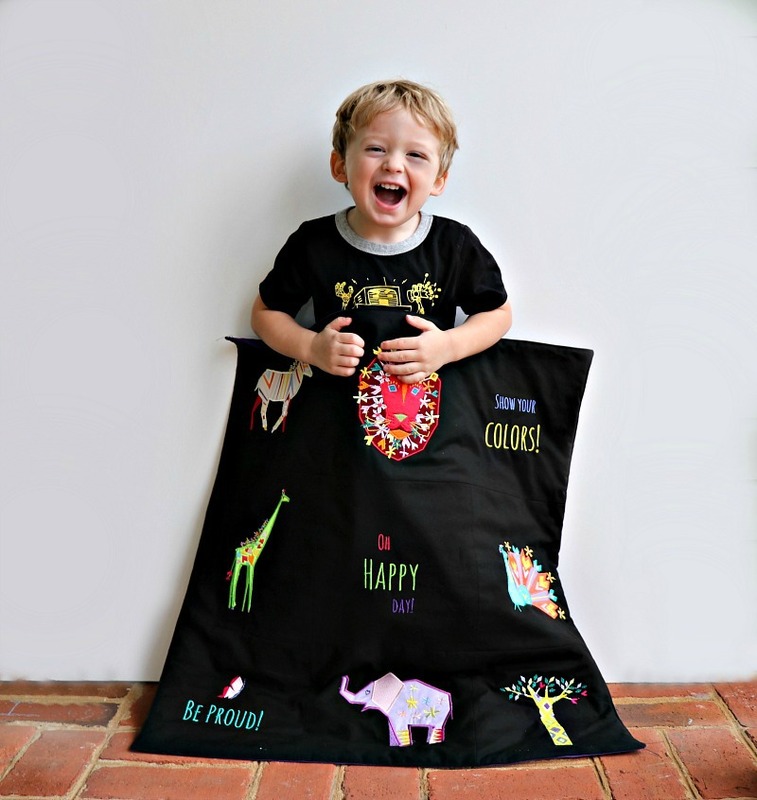 Have additional fabric for the appliqué and cut out the pattern provided in the instructions. 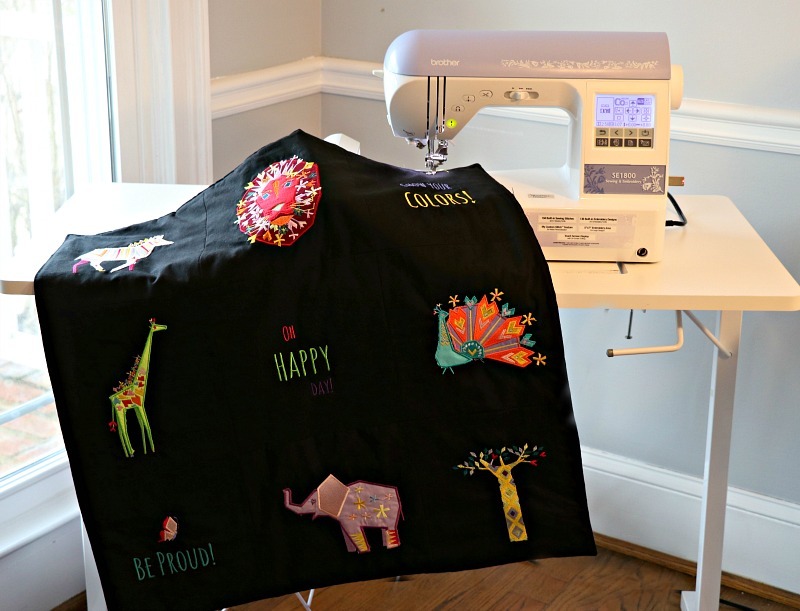 Use a spray adhesive on the wrong side of the appliqué pattern. Place down over the placement stitch so it is completely covered. Set the hoop back into the embroidery machine. 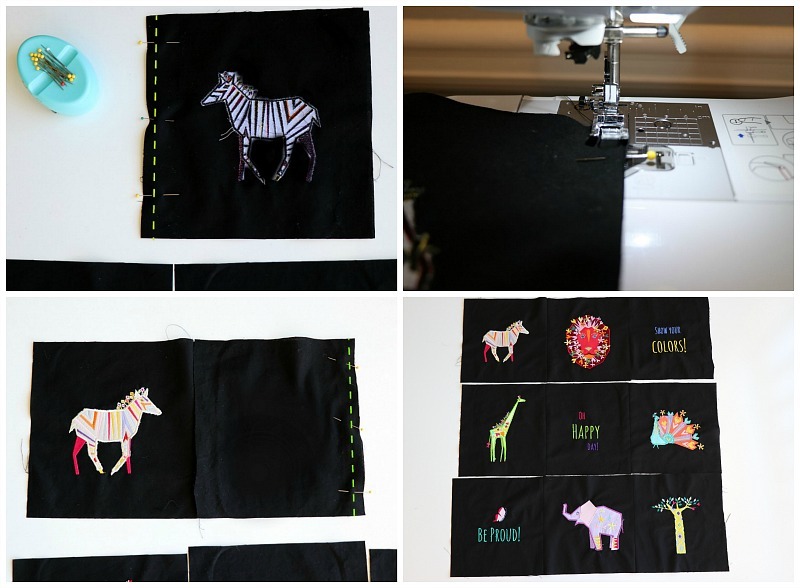 Cut any additional appliqué outside the exterior stitches. 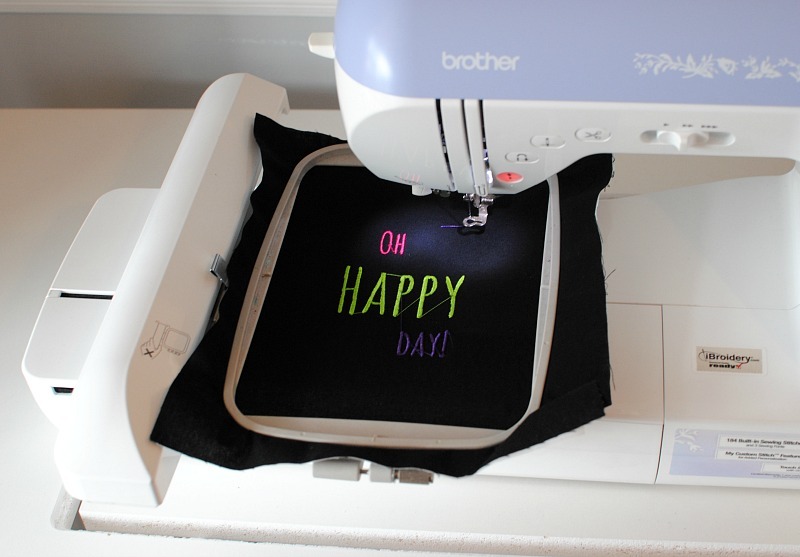 Sew the remainder of the deign and repeat for other appliqué pieces. Continue embroidery on each quilt block. Once you've completed the embroidery. Removed the stabilizer and cut the jump stitches. Trim up the edges to create even blocks (10" x 10" for mine). Lay the blocks out to decide placement. 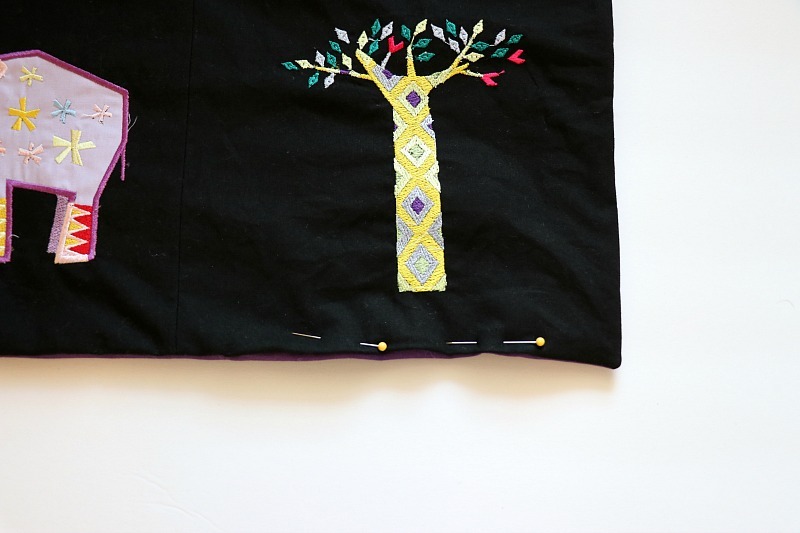 Begin by sewing horizontal rows. Pin at the sides and sew with a 1/4" seam allowance. Repeat for the other block so all 3 are connected. Press the seam allowances flat. Repeat for the additional sets. You should have 3 sections finished. Pin the sections together making sure the seams align. Sew with a 1/4" seam allowance row by row. 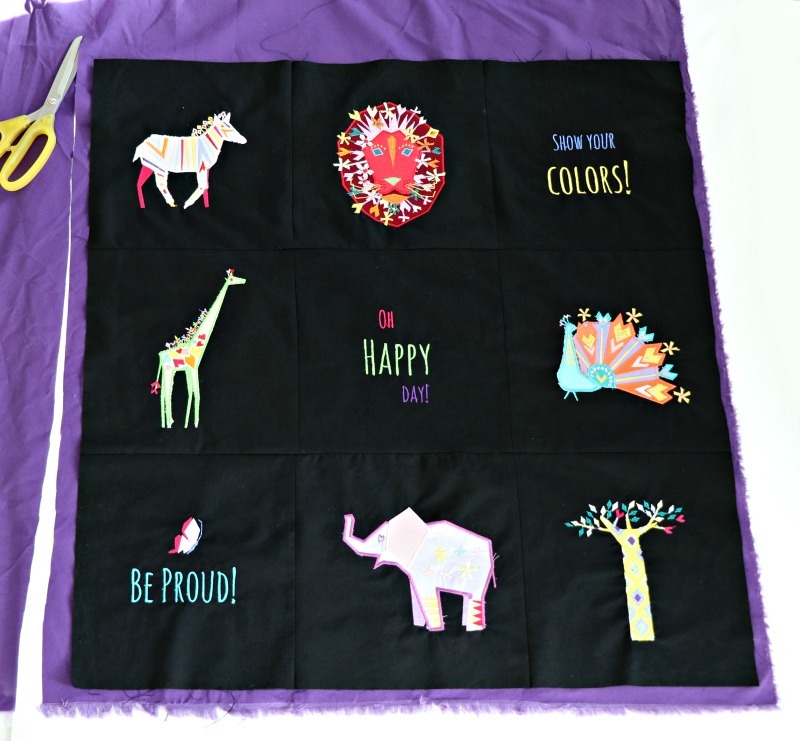 Now you should have the perfect quilt top and ready for backing! Lay your quilt top over the uncut backing fabric. Use this as a template and cut around leaving a 2" edge. Use the backing for a template to cut out the batting as well. Now place the top and back right sides together. Underneath you will place the batting. Pin generously around the edges. Mark off an 8" gap at the bottom. Sew around making sure not to sew through the gap at the bottom. 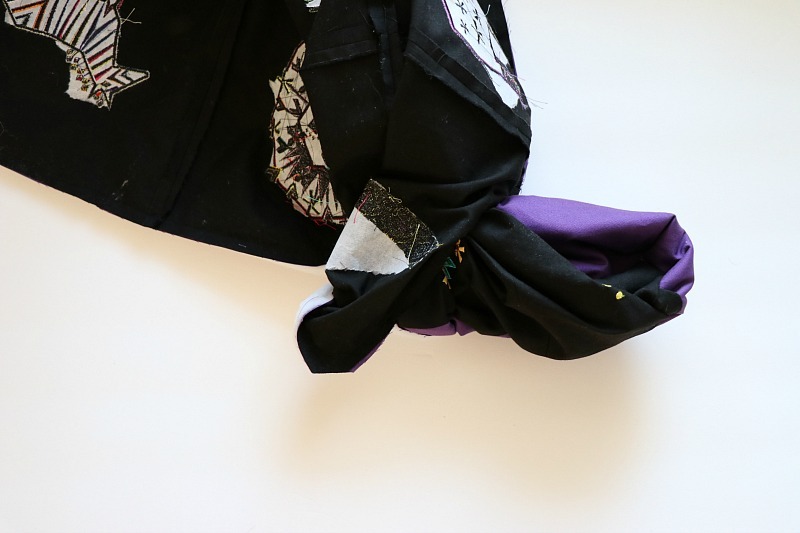 Trim any additional fabric, clip the corners. Pull the right sides out through the bottom opening. Fold and pin the opening shut. Top stitch the opening shut and continue around the quilt edge 1/8" creating a border of straight stitching. You can also top stitch the quilt top seams. The embroidery was a bit more time consuming but worth it. 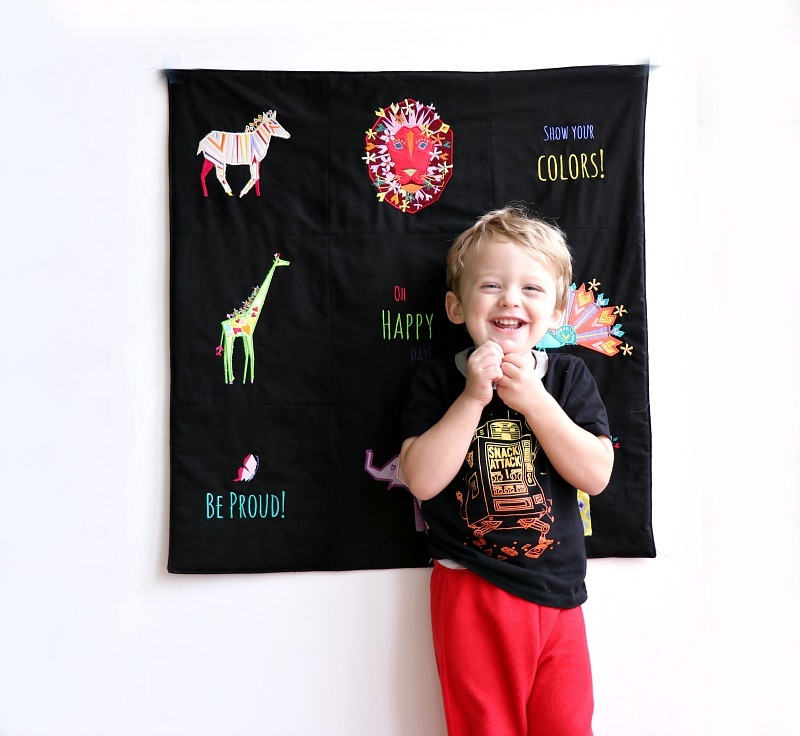 The quilt is the easiest one you'll ever do. 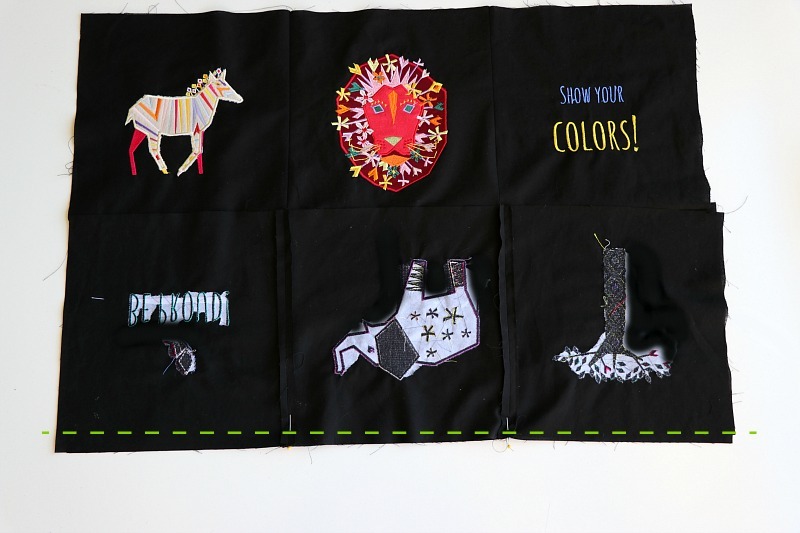 Quilt embroidery is quite the rage right now. I've had lots of fun with foundation piecing, which would normally be done on a paper or muslin foundation. Creating these types of blocks simply takes a bit of spare stabilizer, which is quite economical. Simple blocks like Rail Fence or Sunshine and Shadows are great blocks for beginners. 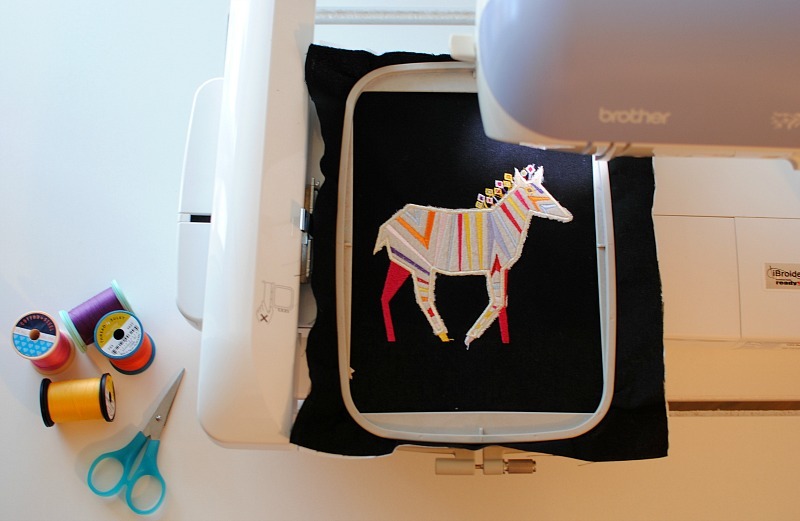 I can't stop staring at those embroidery designs! 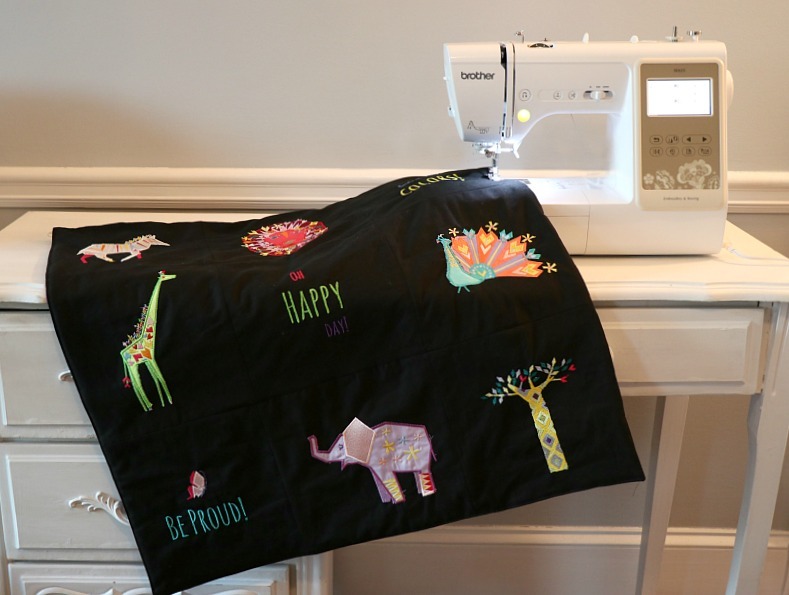 This beginner quilt is just gorgeous.